SLIDE INTO WARM-WEATHER STYLE. 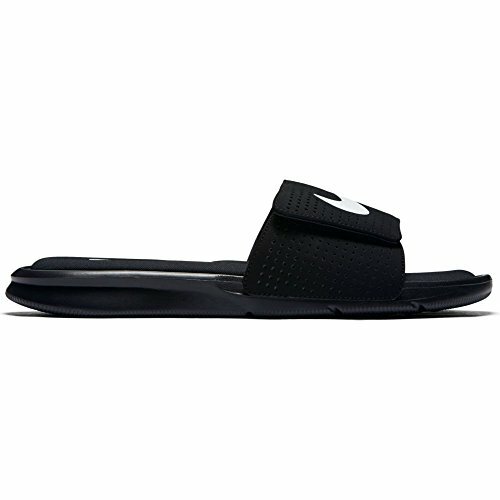 Light and breezy, the Nike Ultra Comfort Men's Slide cushions your step with Solarsoft and memory foam for a cloud-soft stride. A strap with a hook-and-loop closure lets you adjust the fit, while a hexagonal traction pattern allows for natural-motion comfort. Synthetic-leather strap has an adjustable hook-and-loop closure. Solarsoft foam and memory foam provide layers of cushioning. Hexagonal traction pattern enhances durability and grip. Swoosh design trademark is printed on the strap.